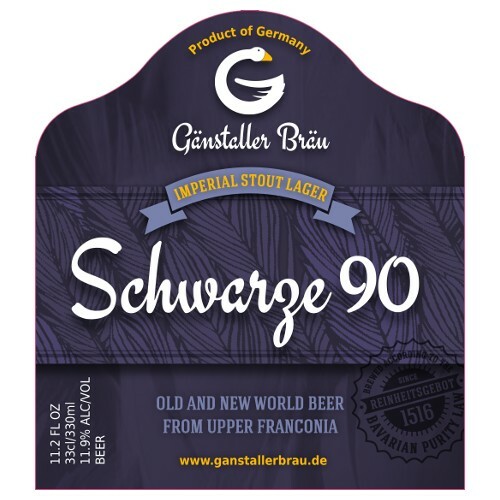 "For a Russian Imperial weighing in at nearly 12%, Schwarze 90 has a surprisingly citrusy, grapefruity and piney nose and palate. 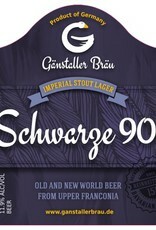 The trademark rich, creamy Gänstaller mouthfeel is backed up with plenty of bitter roastiness in the finish. A truly unique dark crossover bottom-fermented beer, with the brewery’s typically huge but balanced flavors on display."